Located in Oyster Bay, NY, Brooks Robb & Callahan specializes in HVAC Insurance. If you’re a HVAC professional and upgrade, repair and install such systems in commercial buildings and/or residences, then you certainly need to get HVAC insurance in order to protect your assets. What’s the fallback if your miscalculations cause great profit losses to your clients? Do you have coverage for extra or temporary employees? Are any of the HVAC subcontractors you work with protected? 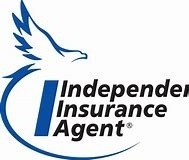 Is your current Heating, Ventilation and Air Conditioning Contractors Insurance coverage sufficient? Tool Insurance: Protects your unscheduled or scheduled tools. General Liability Insurance: Protect your business (financially) from vandalism, theft, fire and so forth. Commercial Property Insurance: Includes business interruption, your business’ contents, buildings and so forth. Commercial Vehicle Insurance: Provides you with a specialized commercial insurance program and also an enhancement rider which can include: Rental Reimbursement, Wavier of Collision Deductible, Towing Reimbursement, Loss of Earnings, Employees as Insured, etc. Workers Compensation Insurance: Provides coverage for your obligation to pay your employees lost wages and medical bills in case they get sick or injured in the job. Commercial Liability Insurance: Covers you if you are found to be legally liable for property damage or bodily injury caused by the operations of your business. Our experienced agents will provide you with the exact type of insurance your business needs in order to have the peace of mind you’re fully protected from any type of risks. Since we fully understand the challenges of the HVAC industry, we can offer you the right packages at the best possible rates. Do you want to apply for a home improvement license and require proof of General Liability Insurance ASAP? We can issue our clients a certificate of insurance in just 1 hour! To learn more about getting HVAC Insurance policy coverage, call Brooks Robb & Callahan at 516-922-6500 or fill out our online form to receive a free quote!